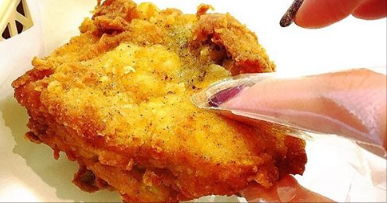 KFC have launched 'finger condoms' so customers don't get their hands dirty while tucking in. Seemingly turning their back on the Colonel's iconic slogan, 'Finger lickin' good', the hand sheaths have been rolled out in Japan this week. 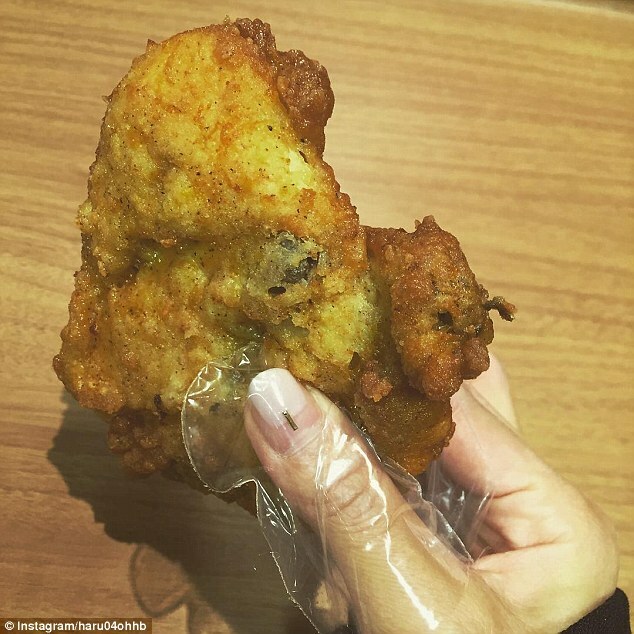 Known as the Finger Nup, short for Finger Napkin, the small bits of plastic are designed to protect thumbs and fingers from getting oily when eating the famous chicken pieces and allows customers to use smartphones and laptops immediately after eating. The fast food chain's officials in Japan told Rocket News the new product is a step up from customers' tendency to wrap napkins around the chicken while eating. It occurred to bosses paper napkins weren't working well enough because the oil was seeping through the tissue. The company decided to trial plastic with the aim of it being easy to wear and take off. The finger condoms have been introduced to 222 branches across the Kanto and Kansai regions. They will be stored behind the counter with staff.